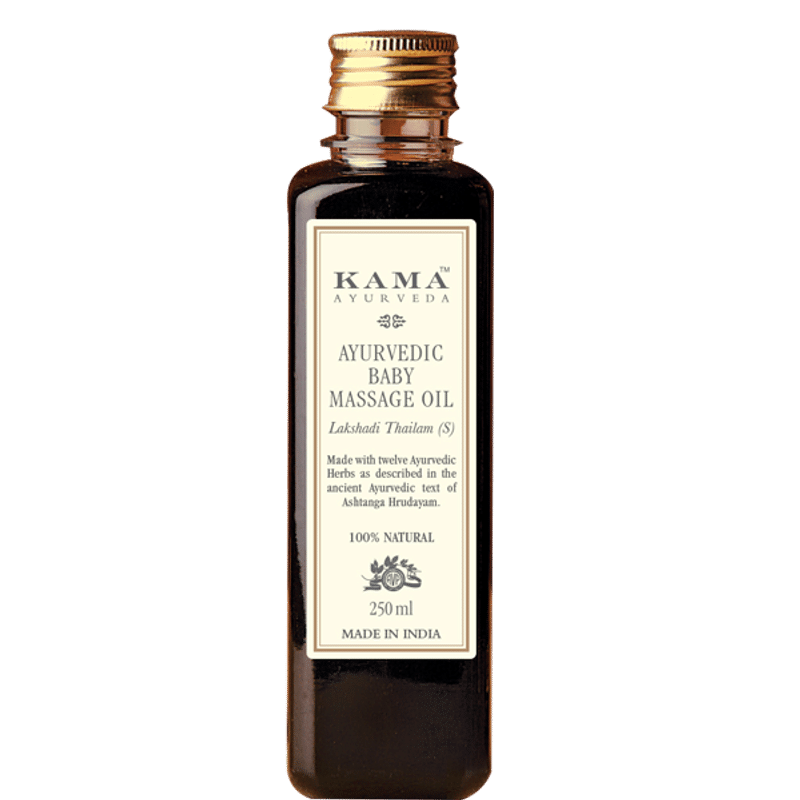 Kama Ayurvedic baby massage oil is deep nourishing and calming baby massage oil. Made with 12 Ayurvedic Herbs as described in the ancient Ayurvedic text of Ashtanga Hrudayam. Moisturizing Sesame Oil forms the base of this massage formula which is enriched with protein and Whey to soften and soothe skin.Turmeric gives healing properties.Sandalwood and Kutaki extracts treat skin conditions, prevent scarring and keep complexion soft and radiant. Powerful extracts of Deodar and Dill protect your baby from catching cold, cough and fevers. Nutgrass work for Antibacterial. Costus and Licorice extracts fight skin infections and keep your baby’s delicate skin soft and smooth. Moisturize, soften and soothe skin. Heals and prevent scarring and keeps the baby’s skin soft and radiant. Prevent baby from catching cold, cough and fevers. Keep baby’s delicate skin soft and smooth. Explore the entire range of Creams, Lotions & Oils available on Nykaa. Shop more Kama Ayurveda products here.You can browse through the complete world of Kama Ayurveda Creams, Lotions & Oils .